We designed a new style of a buckless hobble. 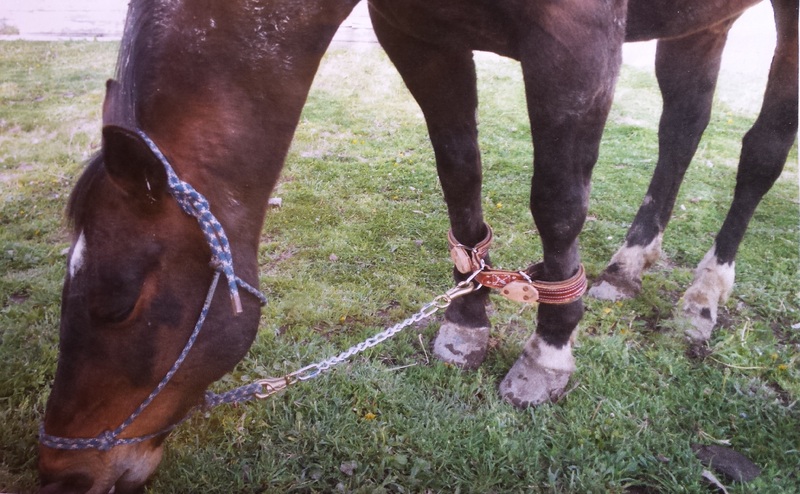 Instead of the heavy chain, we used 2 solid pieces of a 10 -12 oz. oiled harness leather, reinforced it with a heavy duty polypropelene webbing and lined it with soft chap leather. 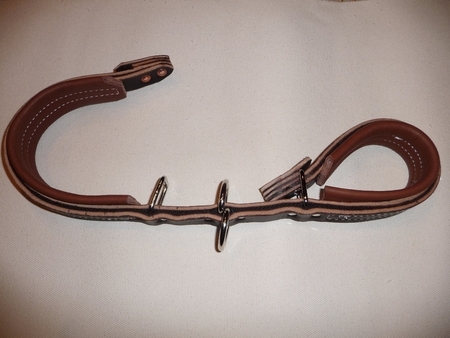 The outer harness leather is 1 inch wide and the lining measures 2 inches. 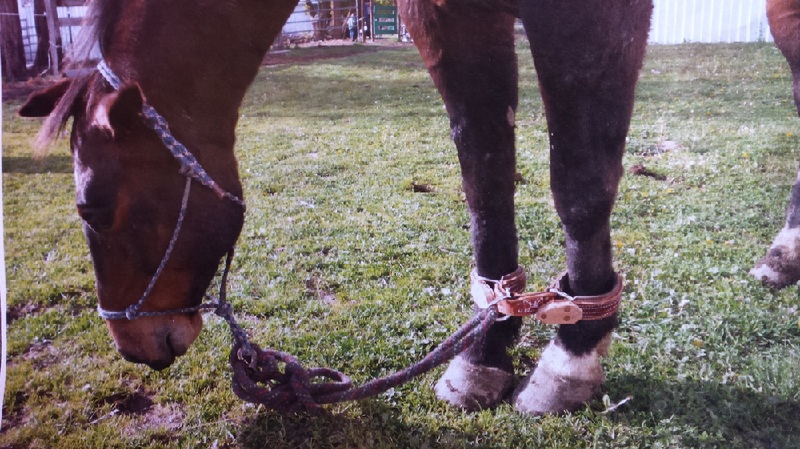 There are 2 D-rings in the center, which gives you the option to attach a single rear hobble and to tie a lead rope to the other D-ring. The hobbles are light weight, but very strong and durable. The overall standard length (closed) is 17 inches, each leg opening measures 13 inches. Upon request, we can customize the size.